As part of our ongoing re investment here at Nationwide, we have recently invested in this Cifa K31L concrete pump to enable us to continue to be a true one stop shop for all your Industrial concrete flooring requirements! 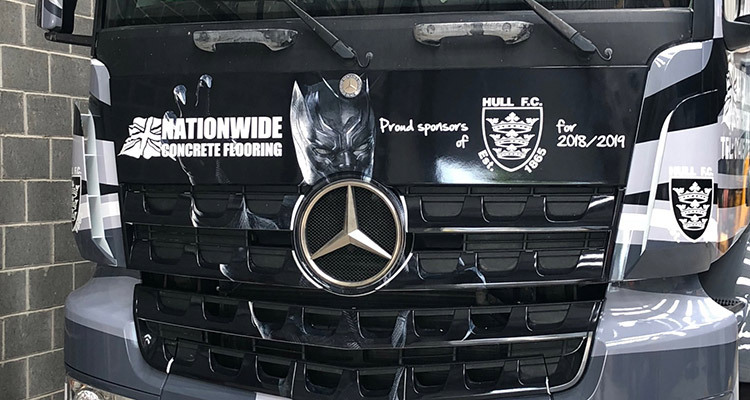 Here fully livered in our 15 year anniversary colours and affiliation with Hull FC and our recent sponsorship of the Dacia magic weekend featuring the Marvel Black panther themed shirt. For all enquiries including concrete pump hire contact us here at Nationwide for a competitive quote.